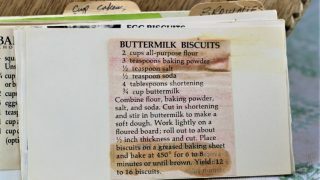 Front of the recipe card for Buttermilk Biscuits. 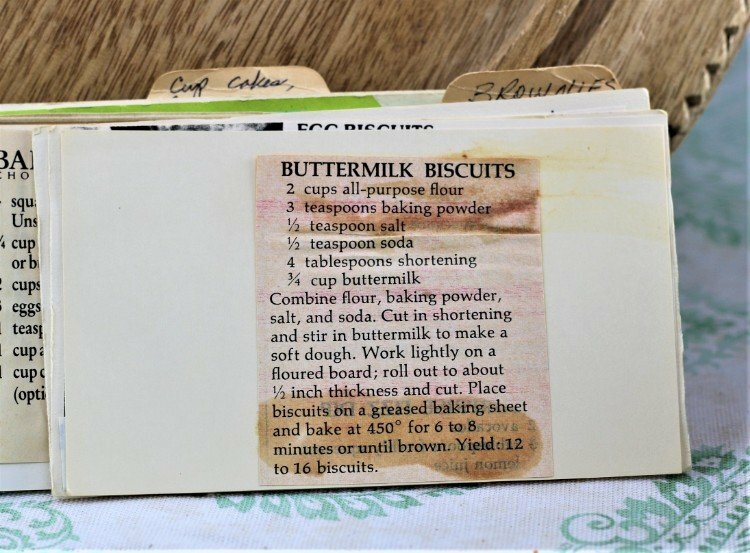 There are lots of fun recipes to read in the box this recipe for Buttermilk Biscuits was with. Use the links below to view other recipes similar to this Buttermilk Biscuits recipe. If you make this Buttermilk Biscuits recipe, please share your photos and comments below! Combine flour, baking powder, salt, and soda. Cut in shortening and stir in buttermilk to make a soft dough. Work lightly on a floured board; roll out to about ½ inch thickness and cut. Place biscuits on a greased baking sheet and bake at 450° for 6 to 8 minutes or until brown.